A family takes a photo at the Philadelphia Zoo. 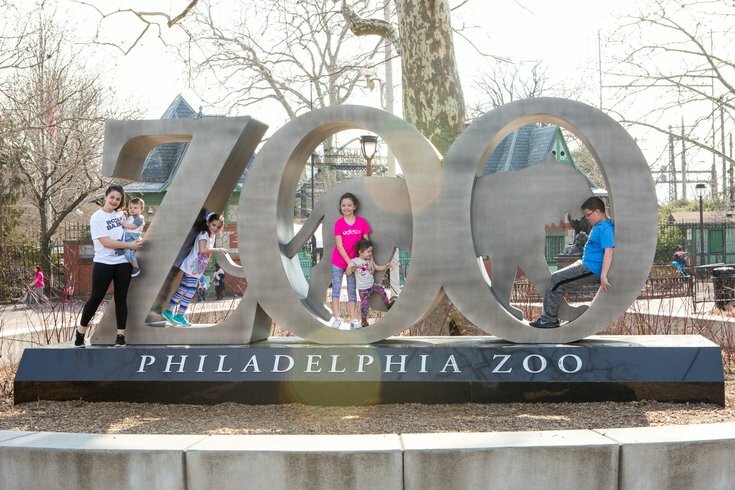 The Philadelphia Zoo announced on Saturday it's opening an outdoor dining area with food trucks, outdoor seating, and wine and beer for purchase. Urban Green is accessible with admission to the zoo and will feature a 132-foot mural and vertical farm. The space will seat more than 200 people and offer three food trucks serving food like paninis, wraps, and some vegetarian options. The Business Journal reported it includes The Fry Bowl, Roof to Leaf and Pressed. The zoo also recently announced it was bringing back the animal-shaped keys that would make exhibits at the zoo come to life that originated back in the '60s. They keys are part of the "Creatures of Habitat" Lego display. Now, visitors can purchase the zoo keys and use them at the Lego displays to hear an audio story about the animals.